It was December 2010, with the war over, Nepal was looking to the future with optimism. 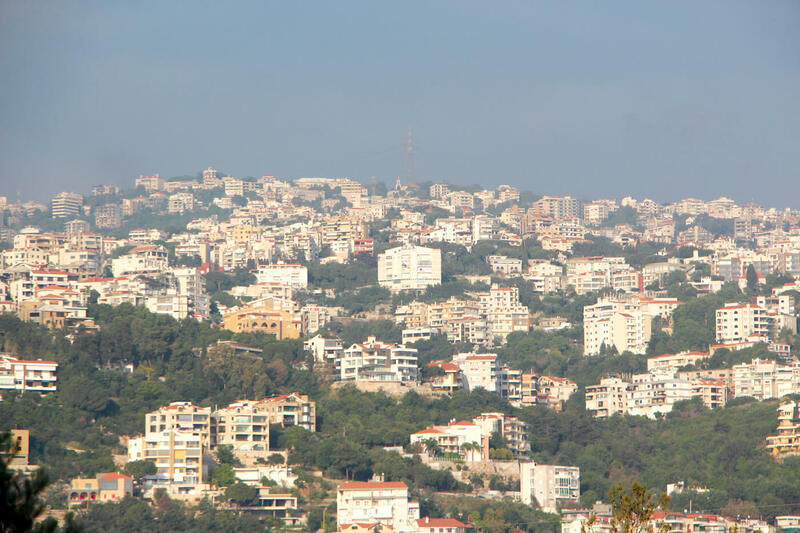 The tourism authorities put up an ambitious target of bringing two million tourists in ten year’s time. The Asian Development Bank (ADB) sanctioned an $80 million loan to upgrade Kathmandu airport to handle increased aircraft movement. 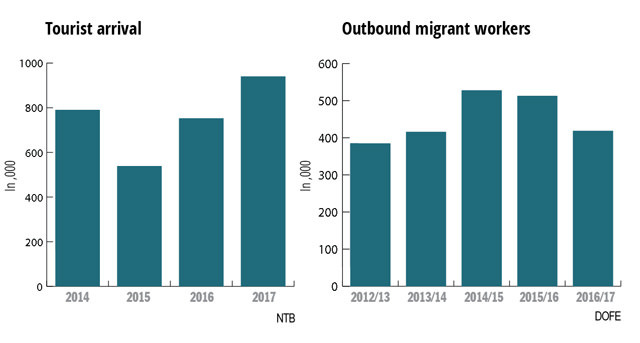 Eight years later, the volume of passengers has surged: migrant workers are using the airport in record numbers, and even though Nepal is unlikely to meet the 2020 target, nearly one million tourists visited Nepal last year. 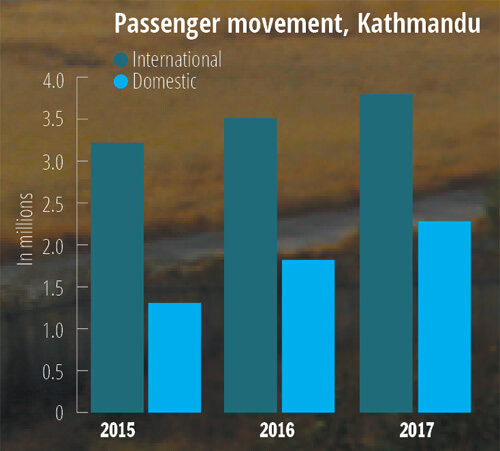 International passenger volume at Kathmandu airport has grown by 20% between 2012 and 2017. However, the phase-wise plan to increase the airport’s traffic capacity has been stalled, leading to heavy congestion in the air and on the ground. 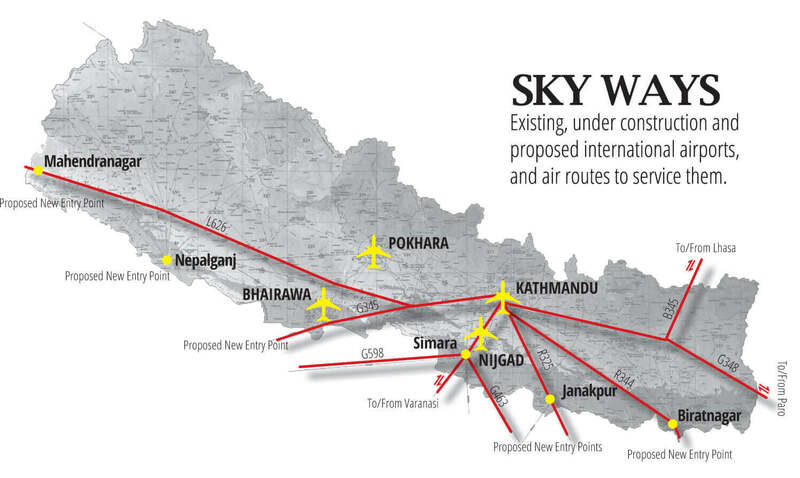 Nepal’s only air gateway is turning out to be an economic bottleneck. The Civil Aviation Authority of Nepal (CAAN) fired Spanish contractor Constructora Sanjose after it reportedly failed to meet one deadline after another. 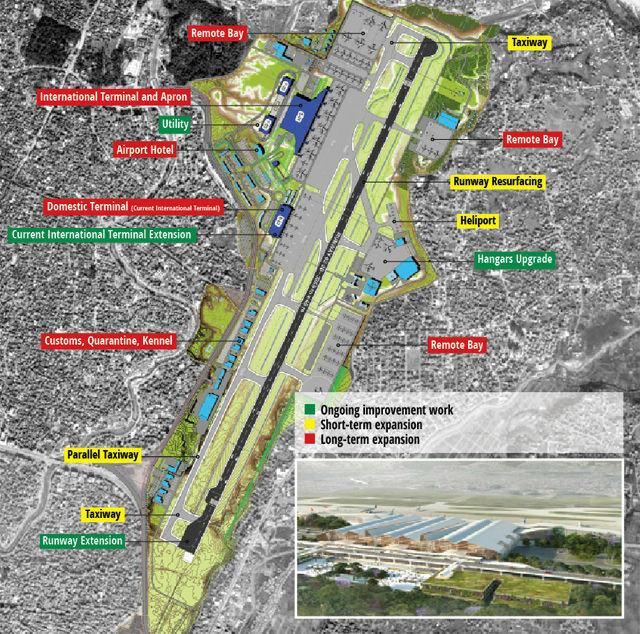 Sanjose had hoped to source earth filling material from the nearby Pashupati area, but when that was not allowed it tried to renegotiate the terms and delayed the project to extend the runway and expand the international terminal building. Overcrowded departure area of Kathmandu’s domestic airport is a regular affair. A messy court battle is dragging on in Singapore, with Sanjose said to be pressuring the Civil Aviation Minister Jitendra Dev to sack CAAN chief Sanjeev Gautam to reclaim its security deposit. The minister backed off after the media exposed the plan. The airport expansion project has now resumed and is being carried out by four contractors. “We learnt from the Sanjose episode that it would not be wise to put all our eggs in one basket,” CAAN spokesperson Birendra Shrestha told us. Work on extending the southern threshold of the runway by 300m as well as expanding the international terminal has resumed. One more contractor is due to be selected to expand the international apron and extend the parallel taxiway to both ends of the runway, which requires 1.2 million cubic metres of earth fill. (See map). The much-delayed $92million project is now expected to be finished by 2020. Despite rapid recovery after the earthquake and Blockade, tourism authorities have more or less given up hope that there will be two million tourists by 2020. The main reason being that the airport just cannot handle that volume of traffic. The government has now pushed back the target, saying it hopes to attract 2.5 million tourists by 2025. But even for that, the airport improvement needs to move immediately into the next phase of building a brand new international terminal building, moving the domestic terminal to the existing international building, adding aprons and remote bays and adding taxiways. Congestion is now so bad that aircrafts are required to hold for hours to land, parking bays are often full, and passengers have to wait for hours to collect their luggage from turnstiles. Despite this, Nepal Airlines is bringing in two wide body Airbus330-200s this year, Himalayan airlines is adding four more Airbus 320s, Buddha Air and Yeti Airlines are expanding their fleets with three more ATR-72s each. The hospitality industry is gearing up for an increase in tourist numbers. International chains like Sheraton and Hilton are putting up new hotels, several new luxury resorts are coming up in Pokhara, Chitwan and Nepalganj –- adding 4,000 new rooms over the next two years. But these investments could go sour if the airport is not upgraded. Negative international publicity about the chaos and filth at the airport is dissuading travelers. Says aviation expert Hemant Aryal: “We can mitigate the problem, but we cannot solve it completely unless the second international airport in Nijgad and the fast-track highway connecting it to Kathmandu are built.” Aviation experts like Aryal say some measures such as extending taxiways to the threshold of the runway could have been done long ago. This would have increased the frequency of landings and takeoffs, reducing long and wasteful holding patterns. They say the new radar on Bhatte Danda that came into operation this month won’t ease air traffic, unless the taxiways are extended first. On Monday this week, when visibility was below the minimum required for a standard instrument approach into Kathmandu airport, most international flights were diverted. A flight from Doha had to go to Kolkata after a costly hold for over two hours. Another flight from Dubai was diverted to Delhi. 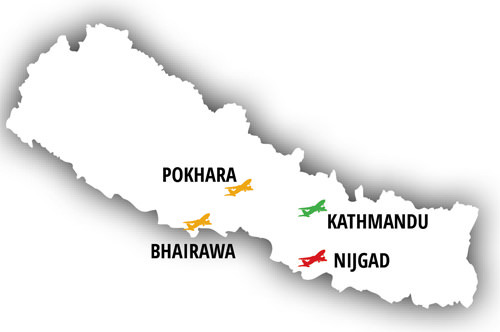 If the new Bhairawa Airport was completed as scheduled in December 2017 some of those flights would not have to go to India — reducing delays and saving money. 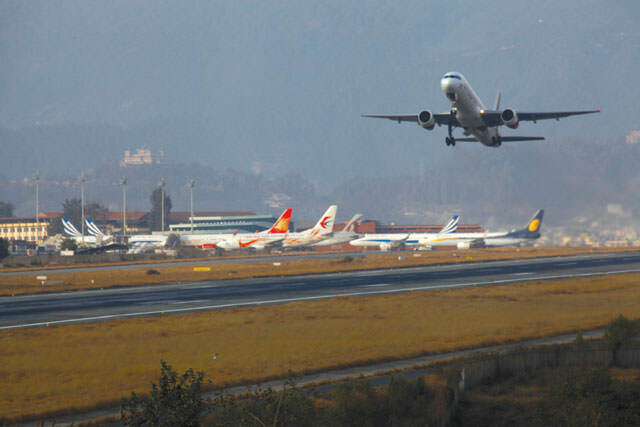 But just as Kathmandu airport improvement was delayed because of a dispute with the Spanish contractor, Bhairawa also faced problems with its Chinese contractor. Only 30% work has been completed so far in Bhairawa, and CAAN’s Pradip Adhikari himself admits: “It is a sick project, and the progress is not satisfactory at all.” Adhikari is also overseeing Pokhara and Nijgad International Airports. Much-delayed Pokhara is now picking up speed and is expected to come into operation by July 2021. 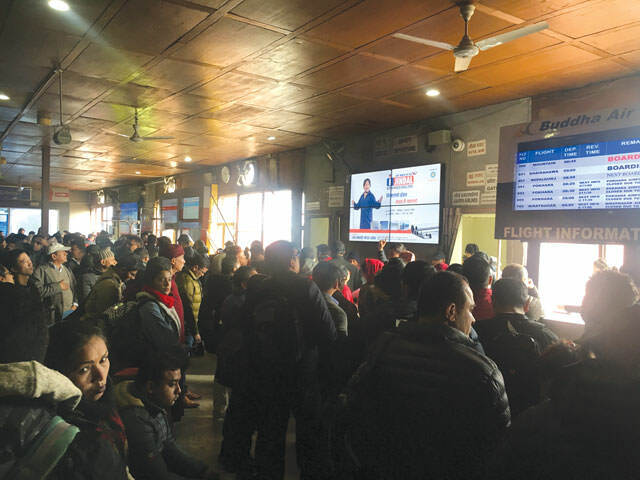 When Pokhara and Bhairawa start operating international and domestic flights, the hope is that congestion in Kathmandu will ease, but by then the volume of passengers is also expected to increase. 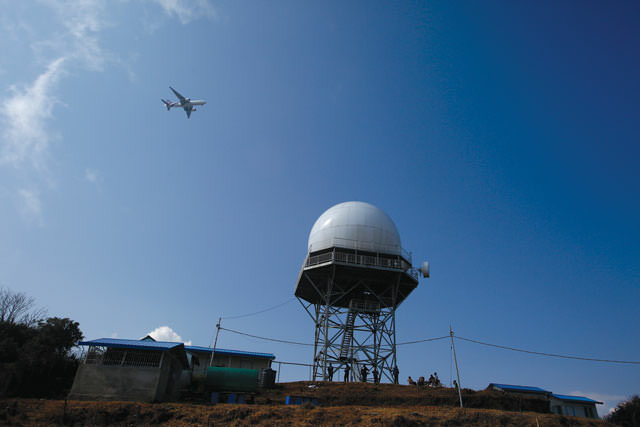 For which the new radar in Bhattedanda (left) will be useful. But congestion in Kathmandu will not lessen until the international airport in Nijgad is completed in the coming decade.